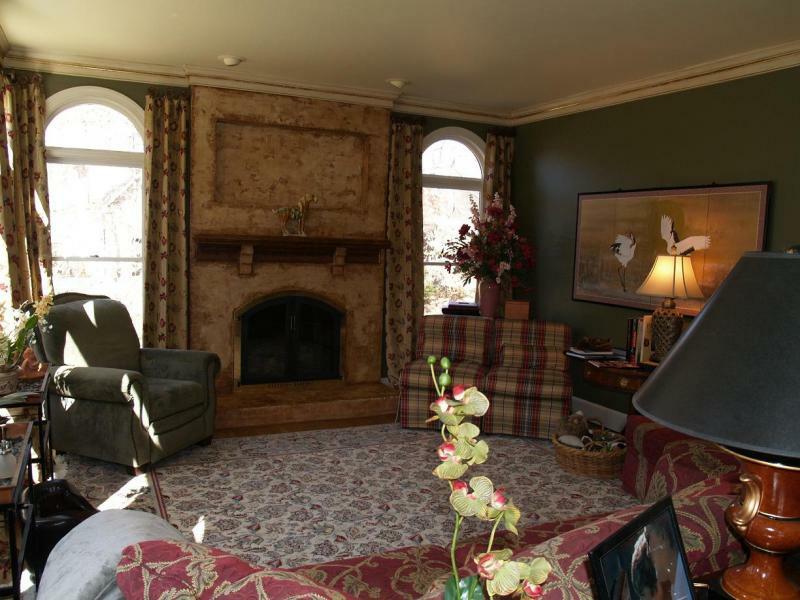 This remodel included the crown moulding, fireplace and walls. 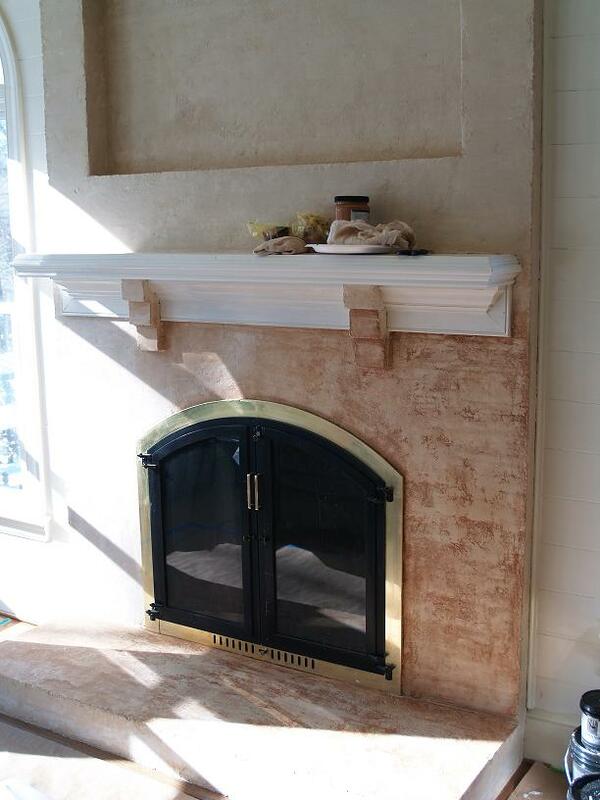 The main feature, Fireplace, was given a rustic italian plaster look which went well with the room's decor. This is before a fauxed finish was completed. 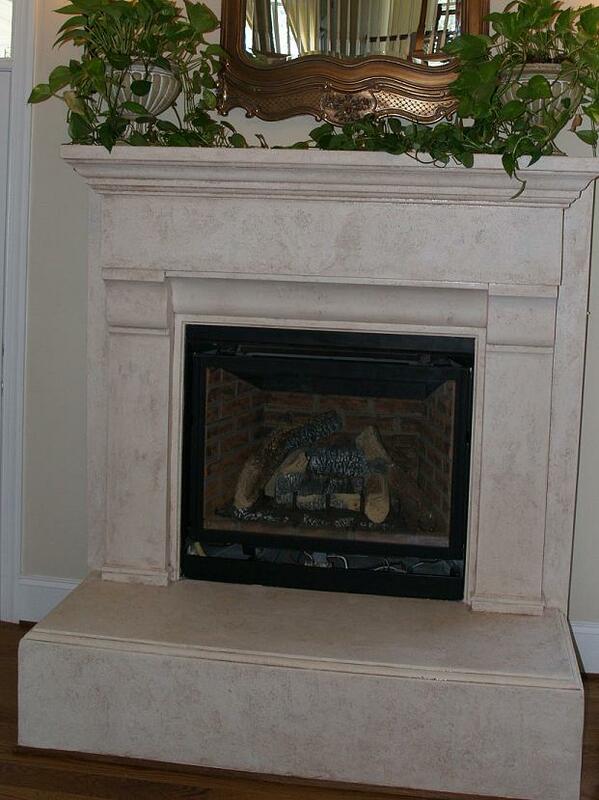 Also included in this work, was a Customized Finish for the Mantel, to create a look for an european old world feel. This is the completed look! The finalized look included a fresh color for the ceiling, walls, and glazed & foiled look for the crown moulding as well. 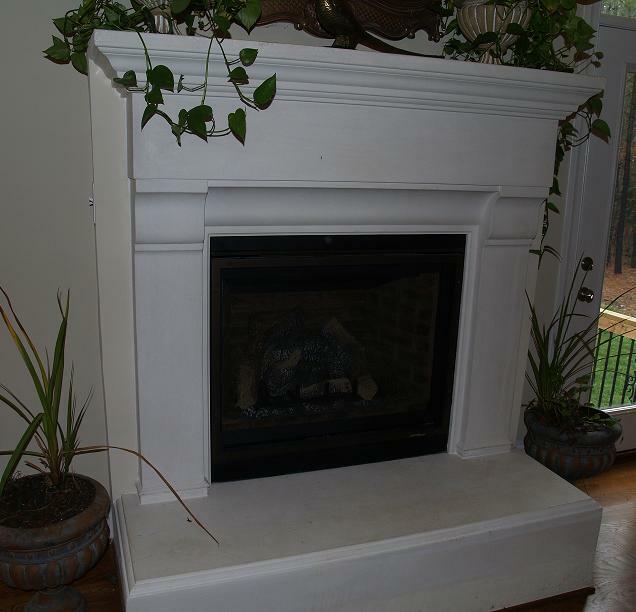 This fireplace was a basic poured concrete finish. 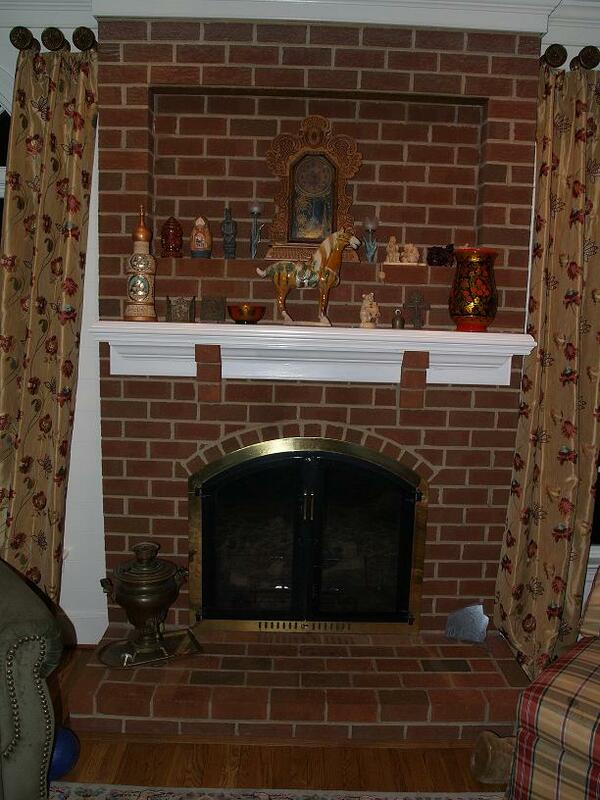 Since the area behind the concrete was painted, the fireplace blended with the wall. 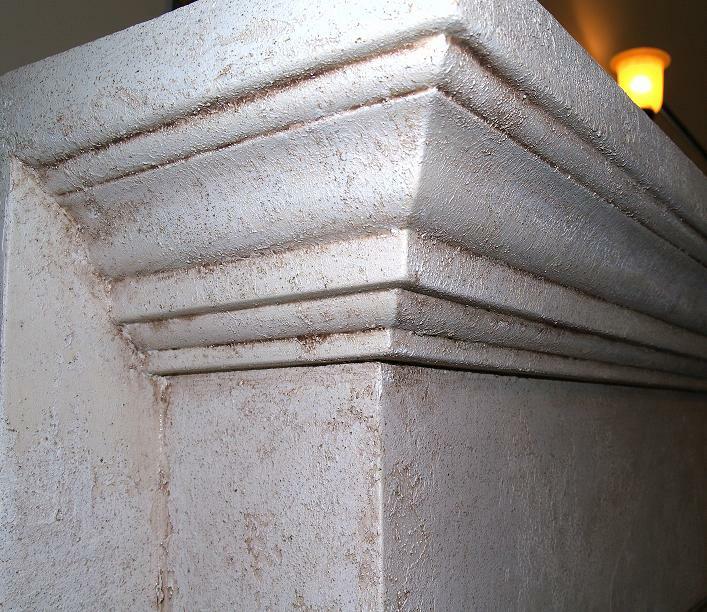 With the artful application of specialized faux finishing products by Faux Effects, a distressed limestone finish was accomplished. The walled area behind the stone, was also distressed with the finish which allow the fireplace to hold a strong focal point in the room.